“Should I expand my office?” “Do we need to find a freelancer to help out with this project?” “After payroll and bills, how much money will be left in our account?” These are just a few of the challenging questions that entrepreneurs may find themselves facing daily. However, one of the challenges that a small business owner may not consider regularly is that of Identity Theft, and as thieves have gotten smarter, it’s a very real threat with astonishing consequences. Think of the ways that your identity is intertwined with your business. Your business bank accounts, credit cards, hardware and software, even the lease on your business’ location, are all connected to your personal information. So, what happens when that information is compromised and a thief gains access to all of the aforementioned assets? Take the example of a New York Marketing firm that went from being acquired to being bankrupt in the matter of two days. The company’s network was infected with a virus that allowed thieves access into the company’s bank account. From there, thieves transferred every dollar the company had in the bank into other accounts. Because it was a series of business transactions conducted through funds transfers, the bank’s policies didn’t cover losses, and the company was forced to close its doors. As such, there are specific steps that entrepreneurs should consider taking to protect their assets. Many banks have different standards of fraudulent reporting for consumers and businesses. In some cases, businesses may have only 24 hours to report theft. As such, frequent account review and immediate reporting of suspicious or fraudulent transactions can reduce your business' liability and potential fraud losses. And while online banking can be a double edged sword in that it can give thieves access to your account, it also allows you to quickly log in to your bank account and view your business account balance and transactions. As a reminder, use strong passwords for your banking information, and always be sure your antivirus software is up to date. Most U.S commercial banks offer Positive Pay services which can significantly reduce business check fraud losses. Using Positive Pay, when you write business checks, you provide your bank with a list of check numbers and dollar amounts. Your bank compares any checks received for payment against your list. If a check doesn't match, it is identified as an "exception" and is not paid. As discussed in the example above, wire transfer and electronic payment fraud are serious threats to businesses. 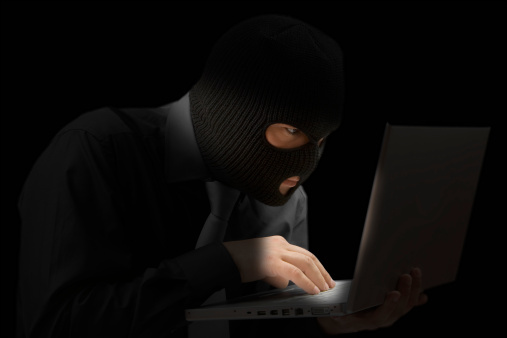 Because these transactions occur quickly, businesses often do not catch the fraud in time. Even finding and reporting the fraud within hours can frequently be too late to stop the transfer or recover the funds. If your business utilizes wire transfers, implement dual controls that require two party approval for outgoing wire transfers - both a wire transfer originator and a separate transfer authorizer. If an outside third party fraudulently initiates a wire transfer, the additional authorizer control can help prevent the transfer from being approved and completed. If your business does not use wire transfers, consider placing a bank filter, limit, or block wire transfers altogether, which many banks offer. If your bank doesn’t offer these services, you can at least inquire about placing a limit on the value of wire transfers. These are just a few of the steps an entrepreneur should consider taking to prevent their business from becoming a victim of ID Theft. Many more can be found on BusinessIDTheft.org. Michael Barnett is a nationally recognized expert in identity theft, business identity theft, fraud prevention, information security, privacy, and regulatory compliance. He is the Executive Director of the Identity Theft Protection Association, and a frequent author, trainer, and consultant.